The legislative and financial items identified by the Government for being taken up during the Winter Session--the third of the 15th Lok Sabha and the 218th session of the Rajya Sabha--include the Rubber (Amendment) Bill, the National Green Tribunal Bill, the National Commission for Minorities Educational Institutions (Amendment) Bill, the Workmen's Compensation (Amendment) Bill and the Land Ports Authority of India Bill, allof which are pending in the Lok Sabha. Bills pending in the Rajya Sabha include the Seeds Bill, the Pesticides Management Bill, the Legal Metrology Bill, the National Commission for Heritage Sites Bill, the Labour Laws (Exemption from Furnishing Returns and Maintaining Registers by Certain Establishments) Amendments and Miscellaneous Provisions Bill, the Representation of the People (Second Amendment) Bill, the Constitution (108th Amendment) Bill and the Communal Violence (Prevention, Control and Rehabilitation of Victims) Bill. 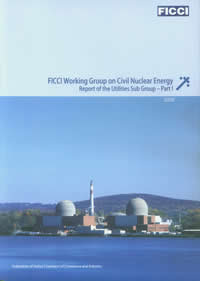 The Government will introduce in coming parliament session the controversial Civil Liability for Nuclear Damage Bill which has raised serious questions over the plans to give access to foreign nuclear companies, particularly those of the United States, without any effort to put them in dock in case of any nuclear accident. The bill will reopen the debate over the nuclear deal and the compensation regime as it is being introduced at the 25th anniversary year of Bhopal Gas Tragedy. The Bill is seen by its critics as a sell out to the US as it transfers liability on non-operators (the foreign companies) to the operators (the Nuclear Power Corporation). The recent US-India agreement ended a 34-year US moratorium on nuclear trade announced following Inida's first nuclear test in 1974. The deal opens up business opportunity for the US and other foreign companies to sell nuclear technology and equipment to India. India has already selected two sites for the US companies and they can eventually build nuclear power reactors which would result in contracts for companies such as GE-Hitachi and Westinghouse Electric Co. The US companies are expecting Indian Government to limit liability of private nuclear companies in case of nuclear accidents. The critics of the Bill say that the legislation would lead to "privatization of profit and socialisation of risk." An accident in a nuclear plant could take place because of faulty design or substandard equipment and many argue that the supplier also should be held liable. The department of atomic energy (DAE) will move the Bill in both Houses of Parliament. the ‘victims’ that the two Governments are committed to helping are US multinationals like GE that are champing at the bit to supply nuclear equipment and lure India’s $175 billion nuclear market. India expects to set up 40,000 MW of nuclear power plants over the next 20 years. pushing India to guarantee that the Union Carbides of the nuclear world suffer no losses regardless of the role that may have been played by their equipment or technology in causing the disaster. Exclusive liability for operators of facilities and supplier immunity may have been the norm in earlier nuclear liability conventions adopted by some nations. “But then, no other nation has suffered a Bhopal like disaser,” states Kanyakumari-based anti-nuke activist S.P. Udayakumar. Indeed, Union Carbide’s decision to deploy flawed design and untested technology contributed substantially to the magnitude of the disaster. An unnamed minister quoted in a June 27 Business Standard article says the Government has a draft nuclear liability bill ready. “What this will do is indemnify American companies so that they don’t have to go through another Union Carbide in Bhopal,” he said. Local operators, on the other hand, will have to raise $450 million up-front to cover post-disaster compensation costs. Additional costs will have to be borne by Indian taxpayers. The Price-Andersen Act in the US also imposes a similar burden on the American taxpayer. According to Cato Institute, the free market think-tank, this could translate into a subsidy of 2 to 3 US cents for every unit of electricity generated. Another estimate places the annual subsidy extended by the Price Andersen Act to the industry at about $3 billion. victim – insufficient even to cover a year’s medical bills, leave alone pay for treating sick children born after the disaster. fallouts,” said Rachna Dhingra of The Bhopal Group for Information and Action. In 2006 and 2008, Bhopal survivors, including children, walked 800 km to Delhi to demand for economic, medical and environmental rehabilitation, provision of clean drinking water, and punishment of the guilty corporations from the Prime Minister. On both occassions, the PM conceded the demands, albeit after making them wait for months on the streets of Jantar Mantar, and suffer police torture. Till date, he has not delivered on his promises. Contrast this with the speed at which the UPA and the US Governments are moving to appease corporate interests. During his visit to Washington in March 2009, India’s special envoy Shyam Saran told the Americans that progress was being made on the liability law. In April, he said the internal processes for India’s accession to the CSCNL were complete and promised that the law would be enacted after the national elections. During Clinton’s visit, this was a significant point on the agenda. A panel discussion organised on the eve of Clinton’s visit to New Delhi was openly critical of the proposed liability regime. But the organisers – the Coalition for Nuclear Disarmament and Peace and the International Campaign for Justice in Bhopal – clearly stated that they were not opposed to the concept of a liability regime. “But such a law should be informed by the experiences of disaster victims, rather than be influenced by the interests of corporate perpetrators of such disasters,” a statement by the two organisations clarified. Austria, through a 1999 law, additionally opened up liability to suppliers and service providers. None of these countries have ratified any of the international conventions relating to liability because these laws do not adequately address victims’ needs. India’s nuclear proponents that a nuclear disaster will not happen, the fact is that the nuclear industry is already negotiating to cut its losses in the event of a such a calamity. Private industries want the business, but don’t want to bear the risks. The Indian nuclear establishment wants the technology, even if it means exposing Indians to the risk of being hurt by a nuclear disaster. Even worse, it is asking future victims to make do with what little compensation may be on offer from their own tax money in order to ensure that private equipment suppliers are not inconvenienced. If these are the costs, is nuclear power even worth it?